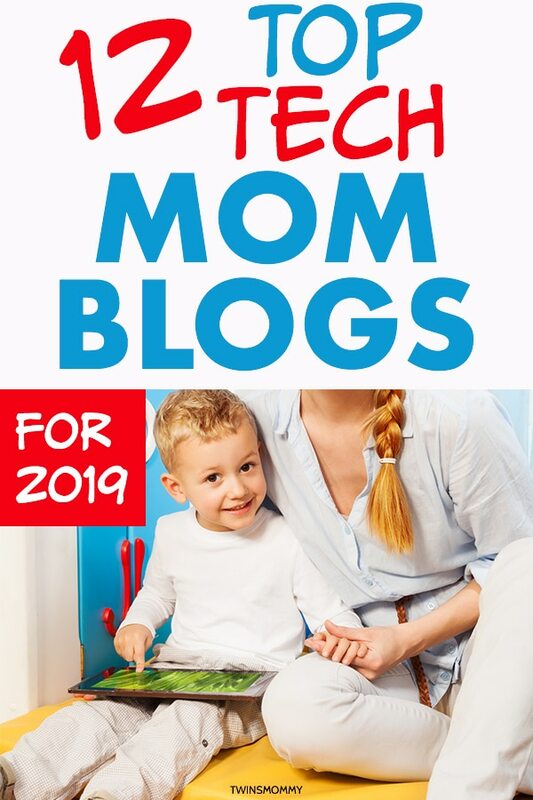 But, did you know there are wonderful tech blogs out there just for mom bloggers? They are friendly, relatable and full of amazing tech tutorials to help you understand your blog and make sure you have all the tech things done right. So, instead of paying for a WordPress guy to fix your blog, why not take a look at these best tech blogs for 2019. Sign up their lists and reach out to them! You never know, they can offer help! What is a Tech Blog? A tech blog can encompass many types of tech issues online. From social media to understanding email marketing services or course platforms, a tech blog can provide a wealth of help. And as a mom blogger, you might have other tech issues like wanting product reviews or knowing the latest gear and games for kids. Having a go-to resource for tech things like that is helpful to all moms wanting that type of information. 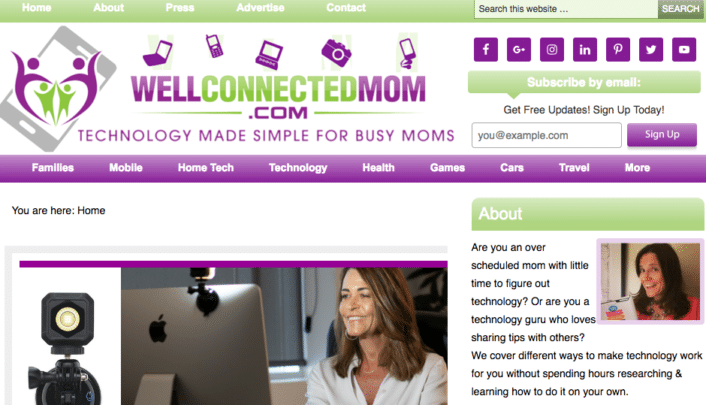 So, let’s look at the top tech blogs just for moms! Mom of three Jen is the blogger behind this tech blog. She provides product reviews and parenting advice for moms. She’s an IT specialist and isn’t afraid of the tech behind blogging. 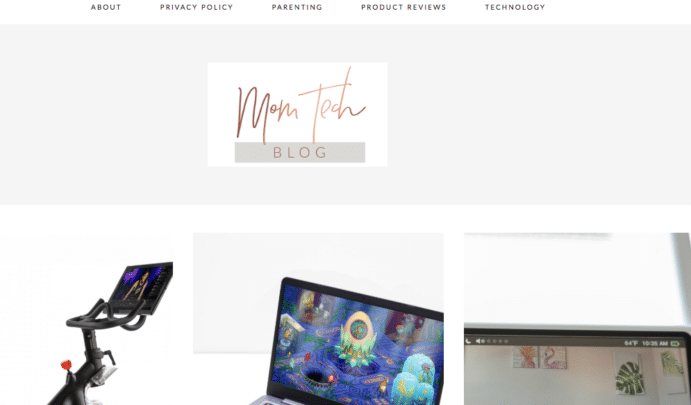 What I enjoy about her blog is that she reviews laptops for kids as well as smart baby monitors. 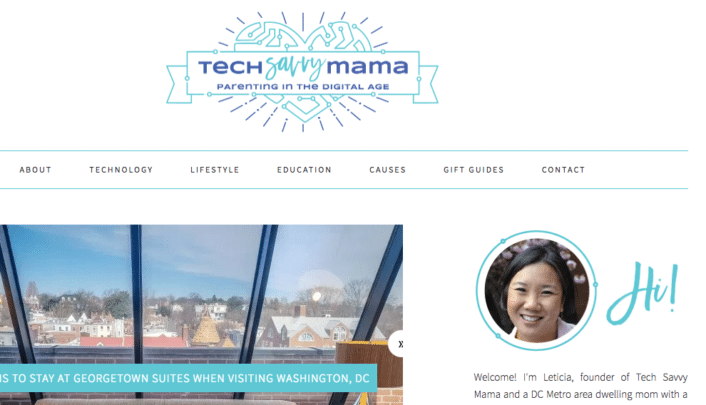 Cool Mom Tech is a huge tech blog for moms, made up of a large content team. The owner, Kristen is an author and influencer, having been on the Today Show, CNN, CBS and more. The contributors on this blog provide the most up-to-date tech information as well as content to help moms in general. Some of their best posts are gift ideas for kids and tweens. iMums is created by four moms that aim to educate parents on technology products like games & apps for kids. Their blog is filled with reviews for all age groups and makes it easy to find the right topic you are searching for with their easy navigation. 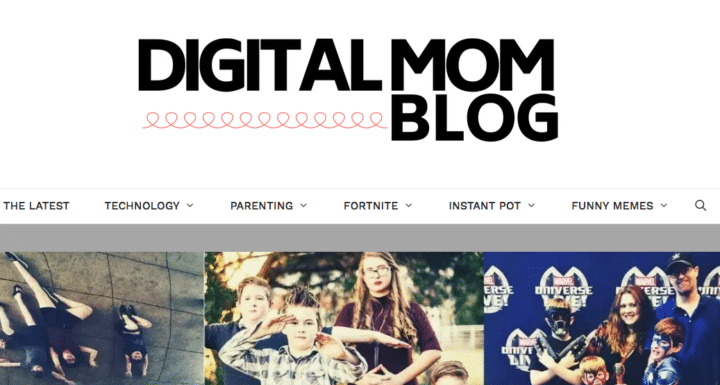 The Digital Mom Blog is a lifestyle tech blog from Molly of four. She shares her perspective on technology in a house filled with kids and tech. Her blog is a judge-free place to raise your digital kid with the latest and coolest gadgets around. 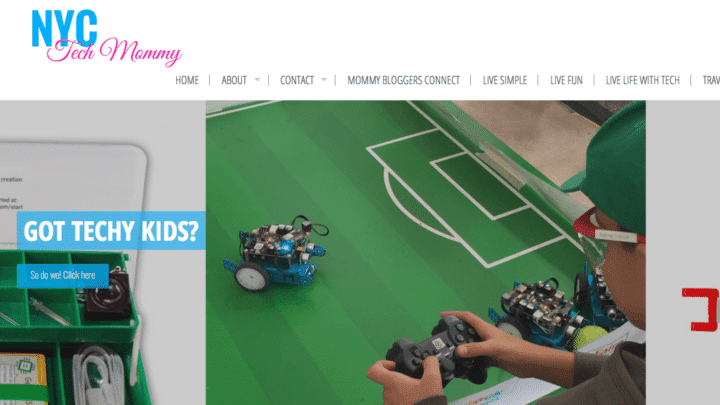 The Tech Savvy Mama is a tech blog and lifestyle blog all rolled in one. She mostly provides tech information around YouTube and social media and provides lifestyle information around travel, parenting and safety. Monica, mother of two, is the mama behind NYC Tech Mommy. Her tech blog shares her love of apps and gadgets as she uses these daily to get things done. Her goal is to inspire other moms to keep life simple and fun with the use of technology. Lori, mom of two, is the mom behind the Well Connected Mom tech blog. Her reason for starting this blog is to help save time and headaches for busy moms. Instead of taking hours to learn tech, Lori has made it easy to learn tech even if you’re super busy! Trepid Tech Mom is a mom on a mission. Her blog is a safe haven for information and help on keeping kids safe online. As she learns to navigate this highly social and sharing capacity online world, she blogs about it and hopes to help others navigate this vast – yet small – internet world. 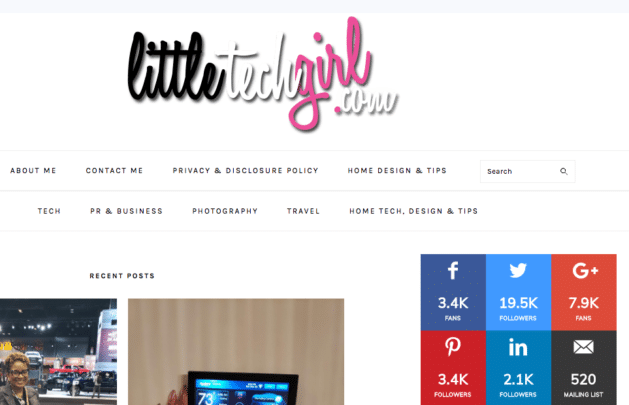 Little Tech Girl is a blog from Kris, a mama with two sets of twins! 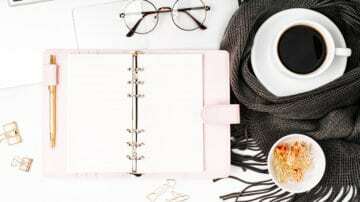 Her blog is filled with teach advice, gadget reviews, blogging tips, social media tips, photography tips, smartphone tips and more! 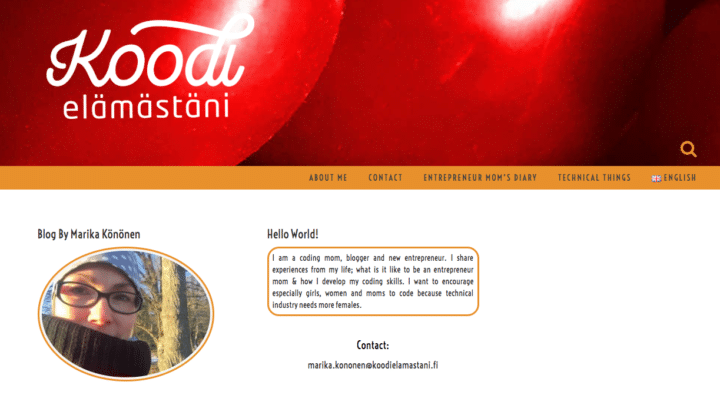 Marika is dubbed the coding mom. She shares her experiences as a coder to teach kids how to code as well as moms how to code. Her blog also shares social media advice for Twitter, Instagram and Facebook. 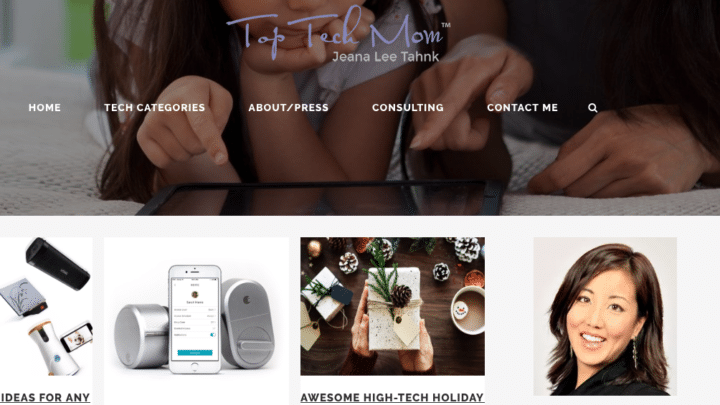 Jeana’s tech blog, Top Tech Mom is a blog about everything tech related. 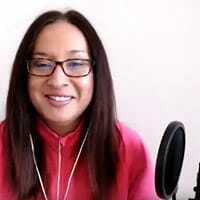 From apps to gadgets to health teach products and more, Jeana reviews them all! Techie Homeschool Mom is a blog from Beth. She is a homeschool mom that wants to help other homeschool moms learn to love technology. She is on a mission to make teach and digital products a way of homeschooling. How Do Tech Blogs Make Money? Can tech blogs make money? Yes they can – and in many different ways. Let’s look at the top ways tech blogs can make money blogging. A tech blog lends well to affiliate marketing since the entire niche is about reviewing tech products. As a blogger, you can sign up to Amazon to do some affiliate marketing with Amazon products. With Amazon, you can find the right tech product and promote that on your blog. And some of the best ways to review that product is to write an in-depth guide on the product. When you provide a reader with that type of information, you can help them make a decision to buy that product you are recommending. If your tech blog gets a lot of traffic, one thing you can start doing is displaying ads. 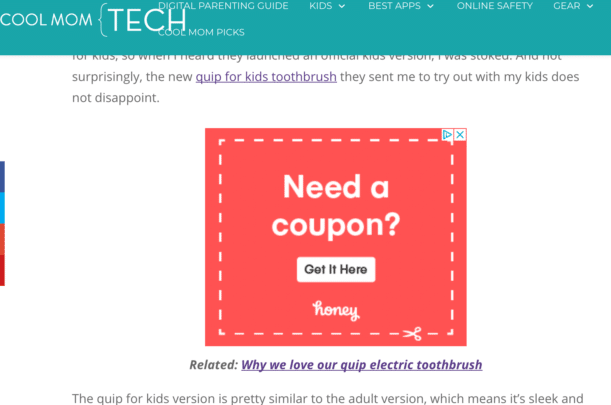 For example, Cool Mom Tech is a big blog with a lot of traffic and they monetize their blog one way by displaying ads. Sponsored content is when brands share their product with you in exchange of a review of their product on your blog or on social media. You get paid for that sponsored content. 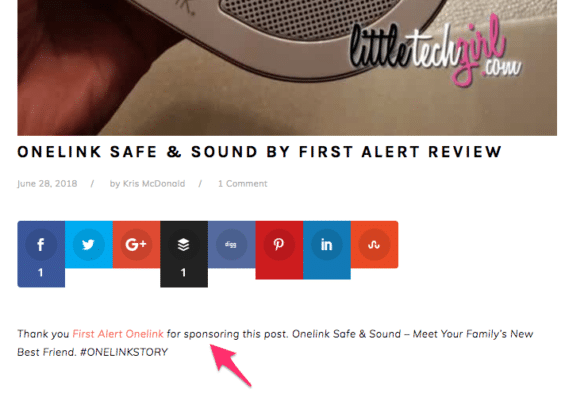 For example, Kris of Little Teach Girl uses sponsored content to make money with her blog. 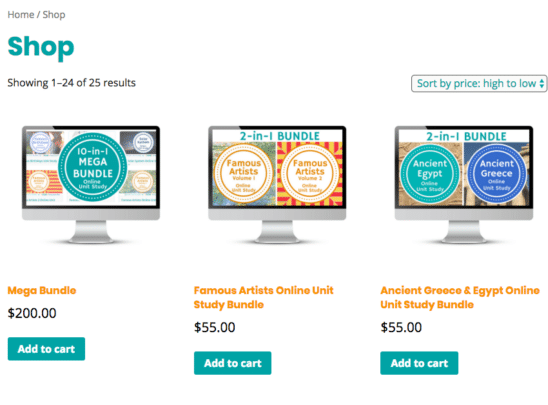 One of the best ways to make money with your blog is to create your own products. Instead of promoting someone else’s products with affiliate marketing or relying heavily on traffic, you can create a product for your audience. This is what Beth of Techie Homeschool Mom does. How do you create products to sell? One of the things you need to know is your audience’s challenges and problems. What do they need help with the most and why do they come to your blog? If you can find the answer to those then you have your product idea. You can survey your audience or ask on social media with market research questions. From there you should start an email list to start nurturing your audience to trust your advice and look at you as the go-to resource in your niche. Creating your product can be easy or more challenging. The easiest is creating printables and the more challenging is creating a video course. In either case, having a platform to sell your products is essential. I personally use Teachable and host all my courses on that platform. How Do I Start a Tech Blog? If you love all things tech, then you can start a blog all about tech stuff. Or, you can start a lifestyle tech blog with varied topics – tech, parenting, and travel. In any case, the important thing is to start your blog and get your blog online to start aging. The older your blog is the faster it can start ranking in Google and gaining some amazing blog traffic! If you need more help starting a blog, make sure to check out my super simple start a blog tutorial! 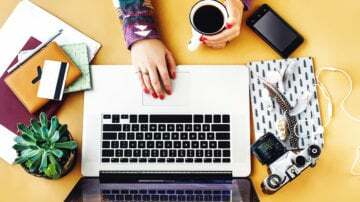 Over to you – do you have a tech blog? Share your blog in the comments and I may feature you on my post! I’m in the tech world, too, and was considering if I should go towards writing more posts about tech things for bloggers. In my search to see what other tech bloggers are currently out there, I came across your post Elna! Loved this, it gave me some great examples to look to – thank you!! Thanks so much! Yeah tech blogs are awesome and helpful for sure! So glad you found this post! What a fantastic list of tech bloggers! I am so honored to be included. I just so happen to come across this my accident and it truly made my day! Thank you! Love the tips you share for starting your own blog, most specifically in the tech space. Hope it inspires others to get started! You’re so very welcome! I love tech mom blogs! I’m sooo not a tech person so I love learning all the best gadgets out there for kids and us adults too!